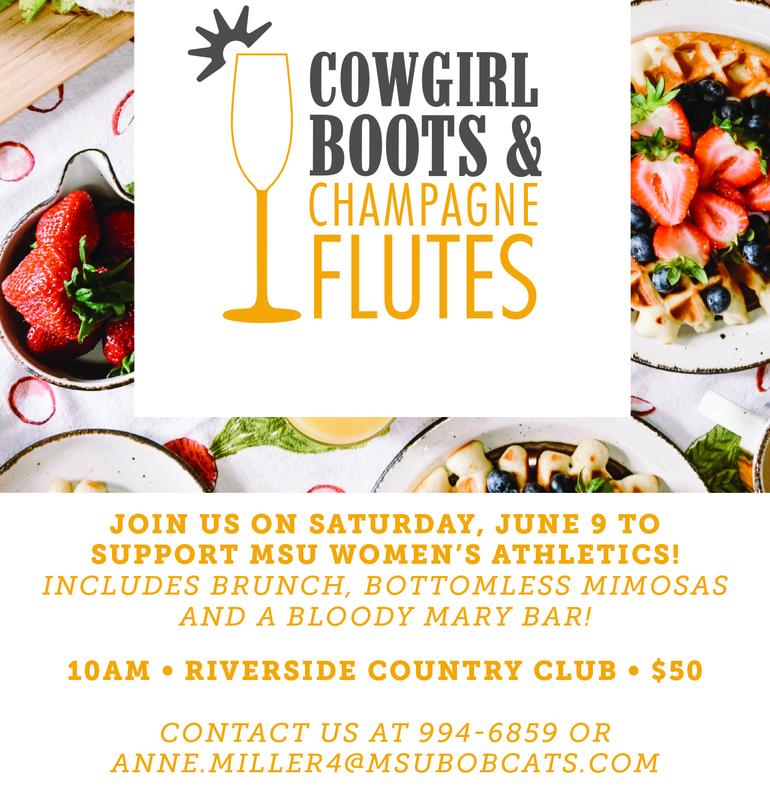 Grab your ladies and join Bobcat Athletics for brunch at Cowgirl Boots + Champagne Flutes! Enjoy bottomless mimosas, a build your own Bloody Mary bar, and brunch while bidding on a variety of amazing packages that are all about WOMEN! 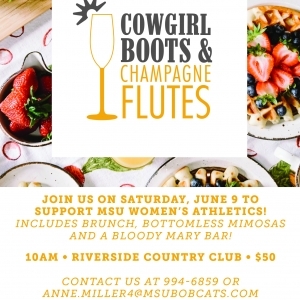 Cowgirl Boots + Champagne Flutes will benefit the women's athletic programs at Montana State University. Tickets only $50.00!